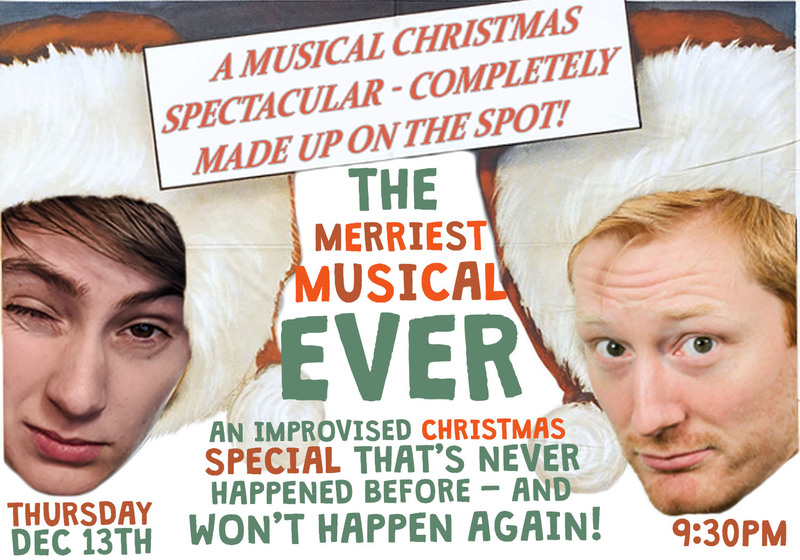 It’s the broadway-style improvised musical that you’ve been craving—with a heavy dose of Christmas cheer. Move over, Santa: there’s a new kid coming to town, and it’s a totally made-up-on-the-spot Christmas special. Imagine the holiday spirit of How the Grinch Stole Christmas combined with the genius of Hamilton, and, like, none of the musical talent. That’s the wondrous wintertime experience you’ll get from The Merriest Musical Ever! Christmas only happens once a year, but THIS musical will only happen ONCE EVER. Join us for a night of goofy characters, catchy songs, and a holly jolly good time.